40 years ago today, the Grateful Dead released their 9th studio album, Terrapin Station, and its impact propelled the “Band Beyond Description” to even greater heights. 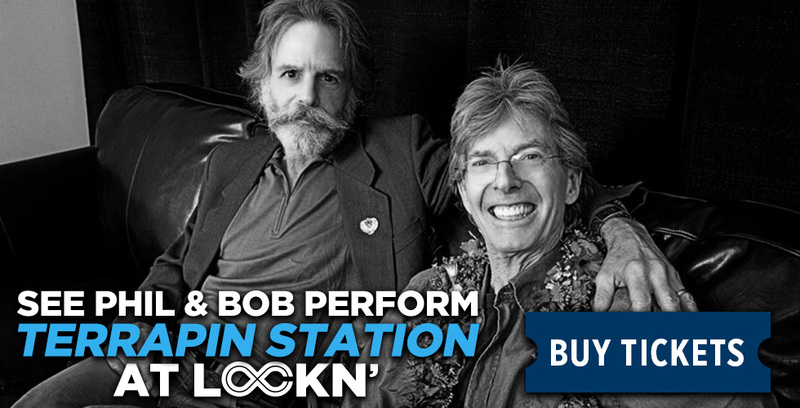 This year at LOCKN’, Bob Weir is joining Phil Lesh, The Terrapin Family Band, and Nicki Bluhm for a very special tribute to the 1977 masterpiece. To help explain our love affair for this classic album, we put together some of our favorite songs and stories. Lyricist Robert Hunter composed Terrapin Station, and over the course of his legendary and lengthy career, this finely crafted album can be viewed as his true masterpiece. Hunter recounts a story where the stars aligned one special night, leading to the creation of this project. Robert Hunter created the meaning, Kelley/Mouse Studios produced the cover artwork, and the Grateful Dead performed the music, and together, they resulted in the birth of Terrapin Station. This album is special to Grateful Dead fans for many reasons. Here’s a few of them! Following the band’s two-year hiatus that began in 1974, Terrapin Station was released, marking their comeback into the sphere of music. This was the first Grateful Dead album on Arista Records, and they found themselves collaborating with producer Keith Olsen, who had just produced Fleetwood Mac’s self-titled debut. The polished pop sound of Terrapin Station marked a significant change in the Dead’s complexion as they explored new channels of sound. 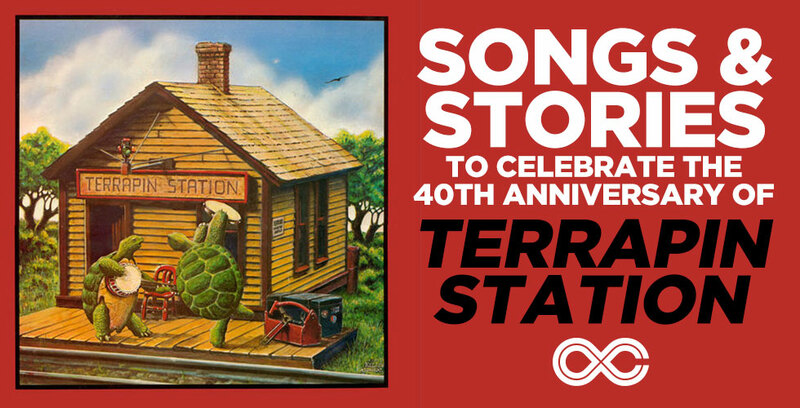 Recognized for its brilliance, Terrapin Station achieved Gold Album status in 1987, ten years after its release. “Estimated Prophet” was written in Cora, Wyoming, and Mill Valley, California in January of 1977. Its live debut occurred a month later at the Swing Auditorium in San Bernardino, California. Bob Weir wrote this song along with John Perry Barlow, who helped write other Grateful Dead songs. This tune was written from the perspective of a crazy, messianic zealot, a type who invariably encounters in Deadhead crowds now and again. The second song on the album, “Dancin’ in the Streets,” is a cover of Martha & The Vandellas’ version. The Dead’s modification prominently features singer Donna Godchaux. For the studio version, a funk-influenced guitar figure was added to a four-on-the-floor disco beat and polished with a commercial production contemporary to the era. The Dead’s vision of this old tune has kept us dancing ever since! The fan favorite, “Samson & Delilah,” made its live debut on June 3, 1976 at the Paramount Theater in Portland, Oregon. It has remained in the band’s core repertoire ever since. The first “Sunrise” live performance occurred on May 1, 1977 at the Palladium in New York. This song is about a Native American ceremony conducted by the Grateful Dead’s shaman, Rolling Thunder, a Paiute, in honor of the passing of Rex Jackson, the band’s roadie and road manager. Jackson, after whom the Rex Foundation is named, passed away in October of 1976. Ah, the grand finale, “Terrapin Station Medley.” This tour de force was first performed live on February 26, 1977, at the Swing Auditorium in San Bernardino, California. It occupied a stable place in the repertoire thereafter. “Terrapin” opened the show, which also included the first “Estimated Prophet.” It has occupied a stable place in the repertoire ever since, though only on two other occasions has it appeared in the first set. The full version was never performed live. If there’s one thing to take away from this illustrious album, it’s this song timeless song.